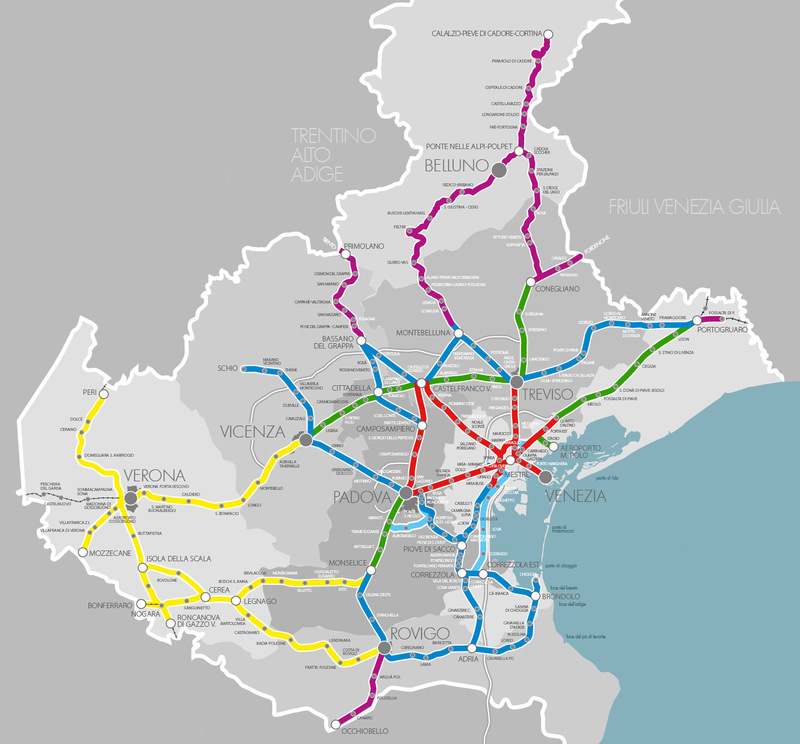 The Veneto Regional Metropolitan Railway System is an integrated transport organization, spread over the entire regional territory, that has the railroad as a supporting element. The objective of the project is to satisfy the mobility requirements at a regional level, while reducing the environmental pollution, the congestion and accident rates of the road network. 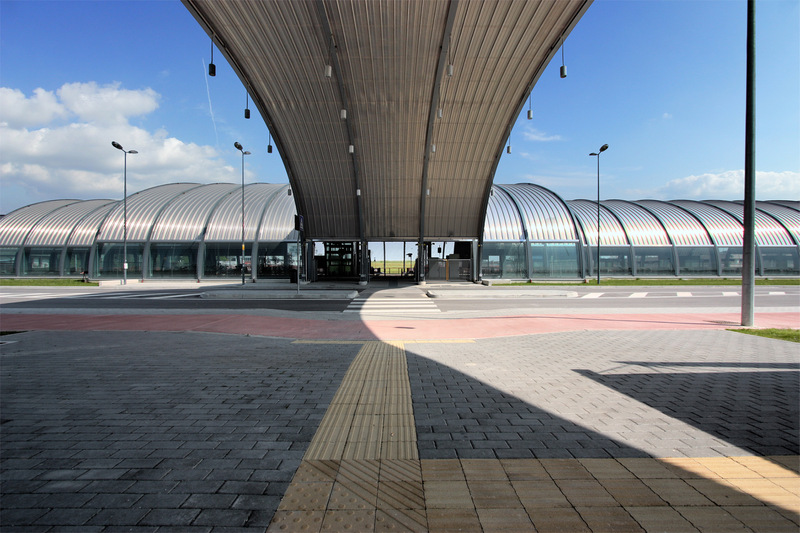 The main condition that must be fulfilled in order to reach the goal is the integration of the rail-based & road system, in terms of public and private transportation; this condition is fulfilled by performing an action meant to enhance and rationalize all existing and future railway network and the feeder road network conveying traffic to interchanges. 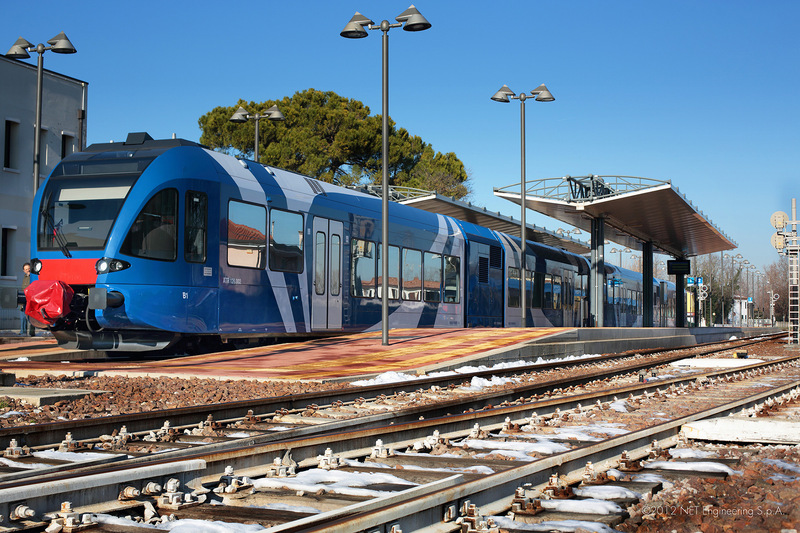 A ”system-based” methodological approach was utilized for the development of the SFMR project, intended as a logical process that originates in the identification of the mobility needs of people and goods which are generated in the territory, in the current status and future scenarios; it further develops by defining the “integrated transportation services plan” able to satisfy the mobility needs in terms of quality and quantity; it is concluded by identifying the complex of infrastructure systems required by the realization of the plan.